This week Nintendo announced that it would release two new versions of its already wildly successful gaming console the Switch. Nintendo has developed a strategy to release a lower cost switch and a more high performance focused switch alongside the original console. When looking at the switch through the lens of disruptive innovation the original switch is on the spectrum of a new market. 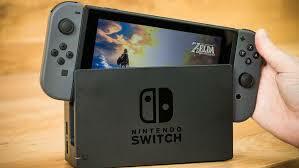 It is a handheld console that could also change into a TV connected console and function how a traditional console would. This hybrid approach to the console was a first in the video game world and was highly successful for Nintendo’s sales. Now after three years of its life cycle the switch is moving into a sustaining innovation strategy. The switch’s sales are expected to drop soon so the release of these two new consoles are hoping to be able to keep sales high. 80% of Nintendo’s revenue is from the sale of the switch and its software.Should Nintendo have tried do more disruptive innovation and try and create another new market product or keep with is current strategy of sustaining innovation in video game consoles?